Videoconferences with patients are encouraged as an important part of our clinical, education and research mission. Clinical videoconferences are subject to additional concerns regarding confidentiality, medical licensure, hospital privileging and other issues. Several UMHS policies offer guidelines, including UMHS Policy 01-04-002 Confidentiality of Patient Information and UMHS Policy 03-07-015 Photographing or Recording of Patients. Faculty, staff, students and other members of the University of Michigan workforce have a responsibility to protect sensitive university and Protected Health Information (PHI) in all of our electronic communications, including videoconferencing. Many conference rooms and classrooms throughout the Health System provide traditional room device videoconferencing systems with large Polycom screens and web cameras, which may be Internet-based. Users connecting through these systems are required to follow policy for patient confidentiality. Currently, only Telemedicine Pathways, Microsoft Lync, and Vidyo have been approved by the University for sharing PHI. Additional services are evaluated for approval if they would fill a significant gap in UMHS communication capabilities. By following the eHealth Center's Telemedicine Pathways guidelines, conference organizers can best ensure that they are within UMHS policy and regulatory boundaries. 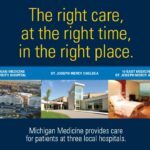 Physician-to-physician, physician-to-patient, and specific disease and tumor board telemedicine platforms are three options currently provided by the UMHS eHealth Center. 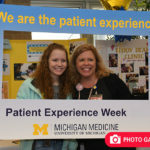 Contact the Center at (734) 647-3089 for assistance in establishing a routine conference or to connect with clinicians regardless of location. As the preferred unified communication platform for UMHS, Lync is tightly integrated with Outlook/Exchange and is installed as part of the Outlook suite on all CoreImage workstations except the Kiosk mode. Lync provides desktop and application sharing, whiteboard sharing, and file transfer as well as audio/videoconferencing for the Health System. Vidyo is a videoconferencing and video collaboration solution restricted to UMHS faculty and staff. Through its client, VidyoDesktop, users can create virtual meeting rooms to allow face-to-face communication. 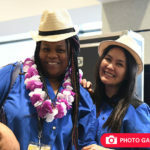 Campus Information and Technology Services (ITS) offers a cloud-based audio/video/content sharing conferencing service called the Blue Jeans Network (BJN). BJN and the University of Michigan have a contract that enables U-M faculty and staff to register for an account. However, there are sensitive data restrictions that Blue Jeans does not meet, and therefore, it may not be used for PHI. More information about Blue Jeans use is included in the Sensitive Data Guide to IT Services. Many meeting events use the Adobe Connect web conferencing system hosted by the Medical School. Adobe is web-based and used frequently for workgroup meetings and training sessions, but it should not be used for videoconferencing containing patient and sensitive data. FaceTime, Google+, Skype, and other externally hosted consumer video chat services are also not approved for use with PHI; none of these services should be used as conferencing media within the Health System if there is any chance of exchanging patient or sensitive data. UMHS Endpoints is a directory of videoconferencing resources available to UMHS staff. Using Endpoints you can browse for a meeting location by department, location, or venue type. Endpoints provides users quick access to endpoint information such as physical location, associated department, contact person, venue type, conference phone number, and room phone number. Schedulon allows you to see the features, seating capacity, and other information for each room, and then check availability in order to make your reservation directly in the Schedulon system. You can browse locations across the Medical School campus, UMHS, and North Campus Research Center (NCRC). Schedulon also allows you to request audiovisual equipment delivery and set-up services or request a projectionist or someone to record your meeting. If you have a question about any of the videoconferencing tools used within UMHS, your Service Desk is available to assist you. MCIT Customers, call (734) 936-8000, email MCITServiceDesk@med.umich.edu, or submit a Service Request Online. MSIS Customers, call (734) 763-7770, email MSISHelp@umich.edu, or submit a Service Request Online. ITS Customers, call (734) 764-HELP (4357), email 4Help@umich.edu, or submit a Service Request Online (login required).